Aegina is a paradise for nature lovers with many forests, traditional mountain villages and beautiful beaches. This island enjoys a beautiful mild climate and it is famous for its pistachio nuts and pottery. The most important archaeological site lies to the east of the island, where the temple of Aphaia is situated. 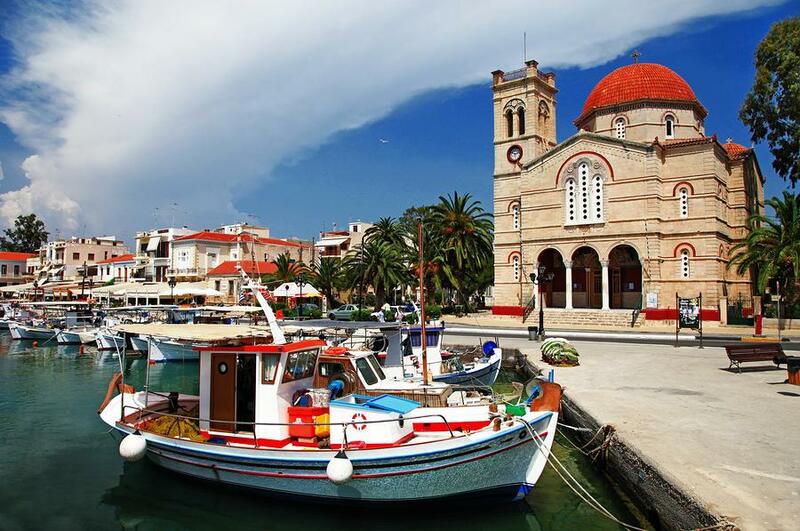 Aegina town, a charming bustling port, is the largest settlement. It has many seafront restaurants offering fresh seafood meals at reasonable prices. Here you can enjoy this picturesque port of the island and neo-classical buildings dating back to the newborn Greek State in 1828. Other places of interest include the monastery of Agios Nectarios - the patron of the island. Agia Marina is the most popular beach of the island full of pine trees reaching the waterfront. 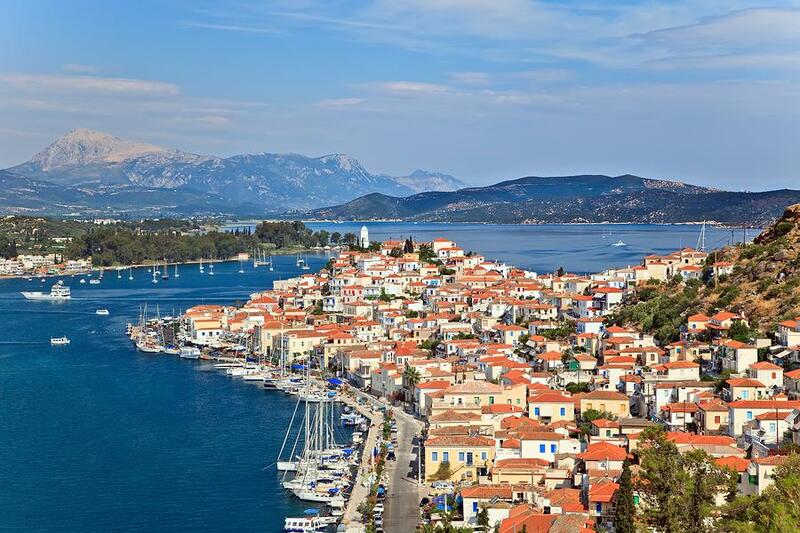 Poros is known for its untouched hillsides, crystal clear waters and idyllic beaches. A small channel separates the island from mainland Peloponesse and can be crossed easily by a small boat or even swimming. 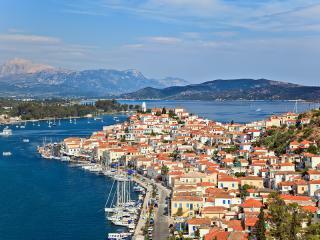 Poros town is a pretty and serene place with unbroken views across terracotta-tiled roofs. As you travel through the city, you will get to see a naval station, the clock tower, the ruins of a sanctuary dedicated to Poseidon, a large city library and the archaeological museum. Neorio village is northwest of Poros town. 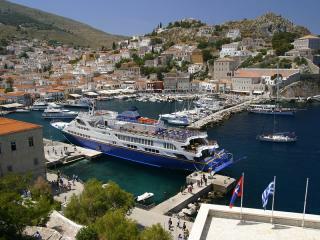 It is the island’s main tourist resort with many hotels, shops and tavernas. The golden sand and numerous pine trees make this beach one of the most beautiful on the island. 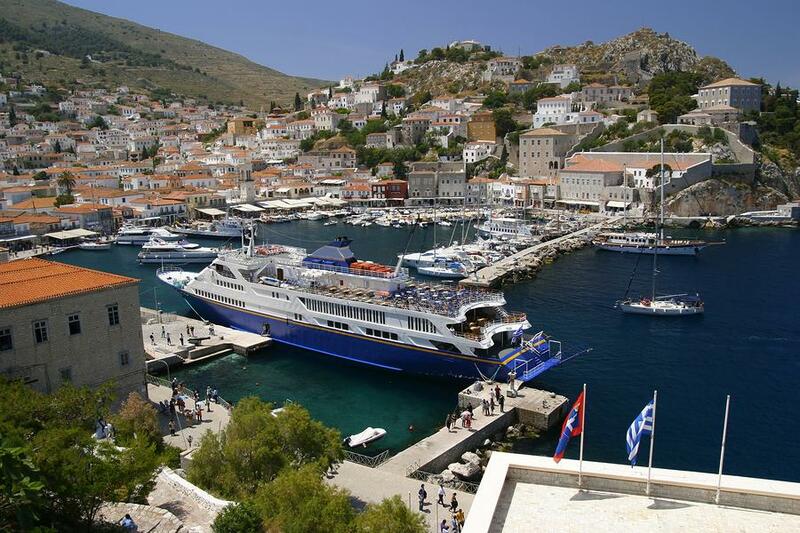 Hydra's natural ascending harbour and ragged landscape has inspired artists since the early 1800s. A favourite weekend escape for the Athenians this cosmopolitan island attracts many visitors worldwide. Known for its naval tradition Hydra has many colourful old mansions. These originally belonged to the families of captains who were involved in the Greek Revolution of 1821 against Turkey. No vehicles are allowed in Idra and the main mode of transport for tourists is donkeys and mules. Boats and water taxis are used to visit the many secluded bays of this delightful island. Ideal for those who enjoy a relaxing lifestyle and for art lovers who can explore the many galleries of the island. 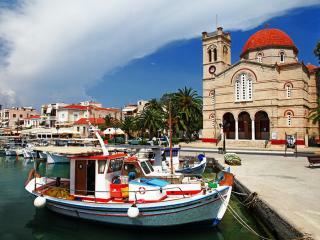 Spetses is also famous for its place in the 1821 Greek Revolution. Like in Idra, private cars are not permitted on this island so travel is by horse drawn carriages or the local bus. A boat tour around the island is available during the tourist season, which includes a swim at one of the many sandy beaches of Spetses. This island offers the visitor tranquillity combined with a lively cosmopolitan life. Dapia, the island’s port, is full of tavernas and bars but as one moves inland the natural beauty of the island comes alive.